It's like the car is moving, but there's no sign of a brain inside it. The Autopilot feature on Tesla vehicles seems to be pretty misunderstood by quite a few people who have them. 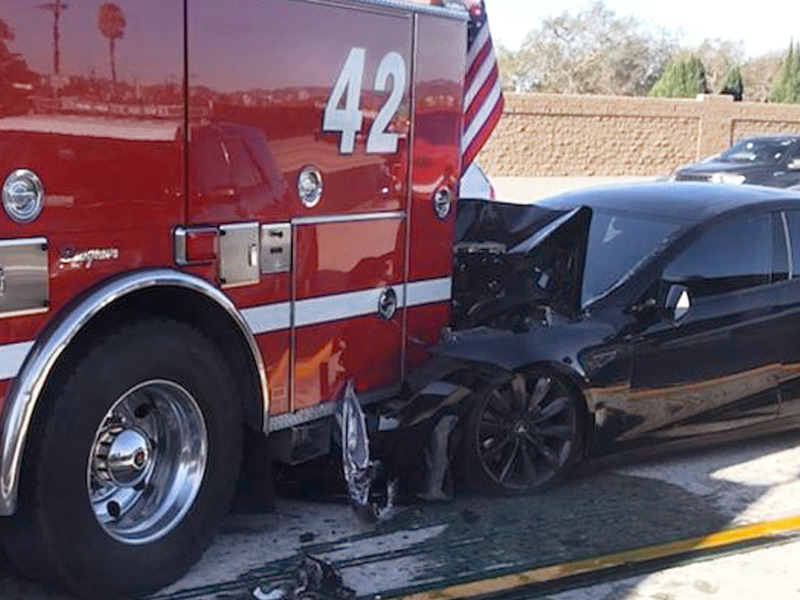 This time someone driving a Tesla Model S with the Autopilot engaged, crashed into the back of a parked firetruck while it was responding to an accident on the 405 in Culver City, CA. This is getting out of hand. The Model S was going at a speed of 65 mph, and according to the driver, was also set to Autopilot. While no one was seriously hurt, this is an increasing problem amongst Tesla drivers. Just last week, a man was arrested for improperly (drunkenly) operating the Autopilot system on his Model S in San Francisco. The feature is meant to aid in driving the vehicle, but it’s not supposed to actually drive the car for you. Tesla’s Autopilot offers limited semi-autonomous driving capabilities, like lane centering, automatic parking, and usually braking in front of an obstacle. The key to using a semi-autonomous system is understanding the word “semi.” The technology is an assistant, not meat to take over completely. You still have to remain engaged. A spokesperson from Tesla even reiterated the company’s position on Autopilot, saying it’s “intended for use only with a fully attentive driver.” If the company tells you how to properly operate the vehicle, the smart thing would be to listen.